Restriction enzymes are a form of molecular scissors used to cut DNA at very specific sites. These enzymes are endonucleases. They have an active DNA hydrolysis site and also a target sequence recognition site, which is also known as the restriction site. Each restriction enzyme recognises and specifically cleaves a particular nucleic base sequence from four to ten base pairs long. Restriction enzymes are produced by bacteria and are a means of defence against viral infections. They cut theDNA of these intruders into small pieces, reducing their infectivity (hence their name). 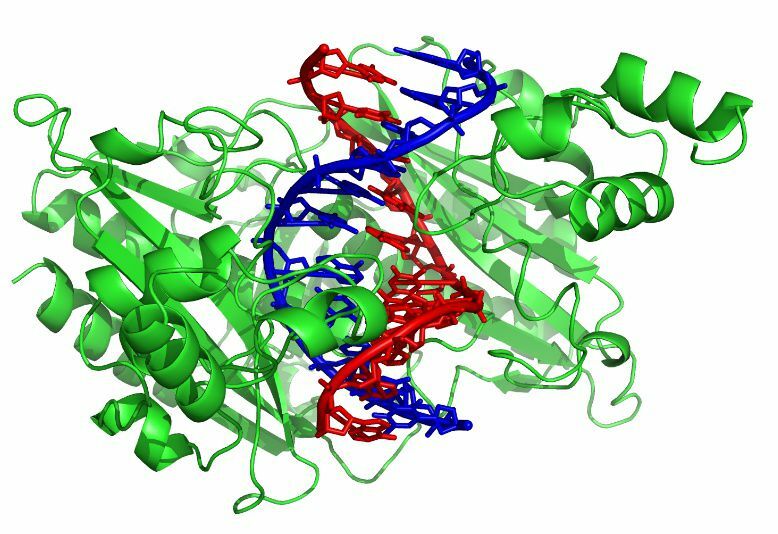 The bacteria are protected by these enzymes as they methylate their own genome, preventing the enzymes from recognising the bacterial DNA as a target. They are very widely used in molecular biology to extract or recombine fragments of DNA during cloning. EcoRI, BamHI or HindIII, which recognise the sequences GAATTC, GGATCC, AAGCTT respectively, are widely used.